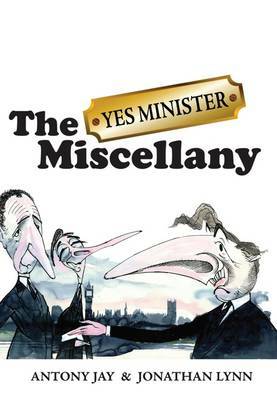 Yes Minister is one of the most popular and critically successful British sit-coms of all time, partly due to its fascinatingly accurate observations of the eternal sparring between Paul Eddington's naive senior minister, Jim Hacker, and Nigel Hawthorne's infernally cunning Permanent Secretary, Sir Humphrey Appleby. Originally broadcast in three series from 1980 to 1984, Yes Minister won an unprecedented three BAFTA awards in a row, as well as an enduring appeal that has lived far beyond the series or its sequel Yes Prime Minister. Tracing the careers of Hacker, Sir Humphrey and his loyal sidekick Bernard, this amusing and brilliantly illustrated book will appeal to everyone who remembers the series with affection and can't resist watching the repeats. Containing obituaries of the three leading characters, written specially by Sir Anthony Jay, and the sketch written by Bernard Ingham for Margaret Thatcher to perform with Paul Eddington and Nigel Hawthorne, the book contains many surprises as well as reflections on the series and its importance by politicians and journalists of the day.